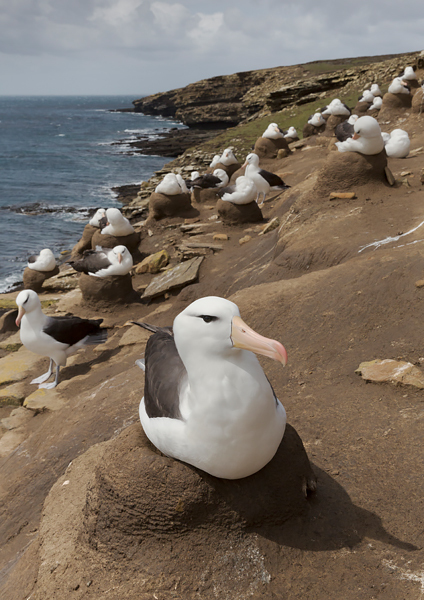 A Black-Browed Albatross sitting on its nest as part of a large colony. Their nests are formed of mud. These magnificent birds are very approachable allowing wide-angled shots.